Find how a Pt100 works on this link. The “KN” series RTD‘s are suitable for applications requiring extremely high temperature stability and high temperature shock resistance. Deviation from the IEC751 characteristic curve is minimal over the entire temperature range. The small diameter tolerances of the sensor body allow easy installation in protective tubes. Applications are found in chemical and power generation plants and analytical equipment. 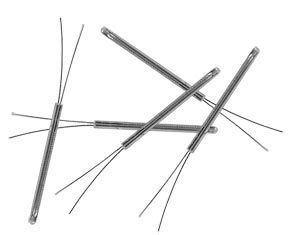 Nota: All RTD elements come with nominal lead length of about 7mm or more.